Send us inquiry → receive our quotation → negotiate details → confirm the sample → sign contract / deposit → mass production → cargo ready → balance / delivery → further cooperation. 2. How about the sample policy ? Our samples are free , customer need to pay the cost of courier by express, the freight is refunable when order confirmed. 3. Can the price be cheaper ? The price is based on your requirement of size, color, shape, quantity or other demand, usually you can get a better price by placing a large order. 4. Do you have a catalog ? Yes , We have four catalogies of metal case series , handmade case series , pouch case and EVA case series. 5. Which ports do your usually ship goods from ? We usually ship goods from huangpu port or according to your requirement to ship goods. 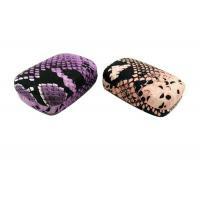 GUANGZHOU CONGFUNG EYEGLASSES CASE CO. , LTD is located nearest Baiyun airport. 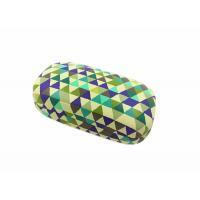 Our company is a manufacture and exporter of various of glasses case accessories: folding eyeglasses case, metal glass cases, soft eyeglass cases, glass pouches, EVA glass cases, microfiber cloth, glasses display trays , watch box and business card holders. We have plenty of experienced employees as well as advanced technology and inspection equipment and continuous innovation, we are producing the high quality products with attractive and exquisite designs. Based on these, an integrated manufacture and business system is established, including production design, production testing, technique development and mass production. 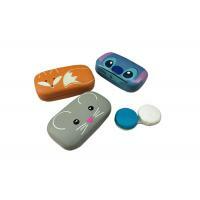 All these can guarantee our products of high quality and competitive price. We insist the motto of "quality first, best service and innovation first". If you are interested in any of our products, please do not hesitate to contact us, we are looking forward to set up business relations with you!